A brief note on what you need to know about finding a dormitory or other form of accomodation when coming to France to study. While it might seem easier for exchange students to be offered a dormitory, the opportunities also exist for the non-exchange students. First of all, let's take a look the CROUS institution. CROUS in an acronym in French for Centre Régional des Œuvres Universitaires et Scolaires, which is an organisation dealing with things related to French universities and their students, among others. 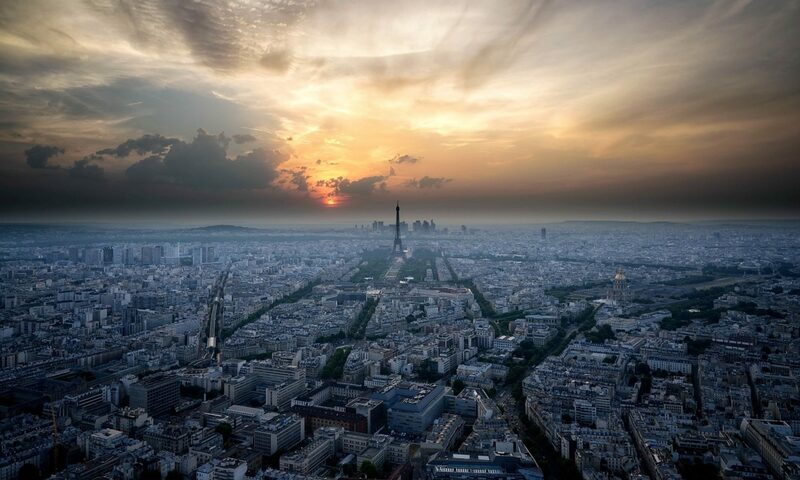 Therefore, if you arrive out of the blue to any French city, without having found an accomodation in advance, CROUS is the place you need to head. You automatically get a file from your University. You need to complete the file and return it with all the necessary documents specified in that file (your id, proof of enrollement, residence permit, bank account details, etc.). The University will inform you whether you will get the University dorm or not. In general, it depends on the number of places and the date your application (the sooner the better). Once you have been granted a dormitory, you will have to pay a security deposit (1 month of rent) on the bank account of CROUS to confirm the reservation. You may also be asked to provide “a commitment of joint and several guarantee” (la caution solidaire in French), which is a security check in case you changed your mind and didn’t want to pay you rent. But it only applies to the private sector in general, so no worries. If you want to get a university dorm, you must know that you don’t have the priority and all you can do is to put your name on a waiting list at the end of August. Your request should be treated at the beginning of September. The places at the University dorms are rapidly taken, so your chances of getting one are rather slim. You’d better start looking for accommodation in private student residence, a private flat or flat sharing (la collocation) opportunities. The are plenty of websites offering flats to rent or flat sharing. However, few of them are in English. If you don’t get the University dorm, don’t panic. Finding a private flat or flat sharing may turn out even a better option for you. 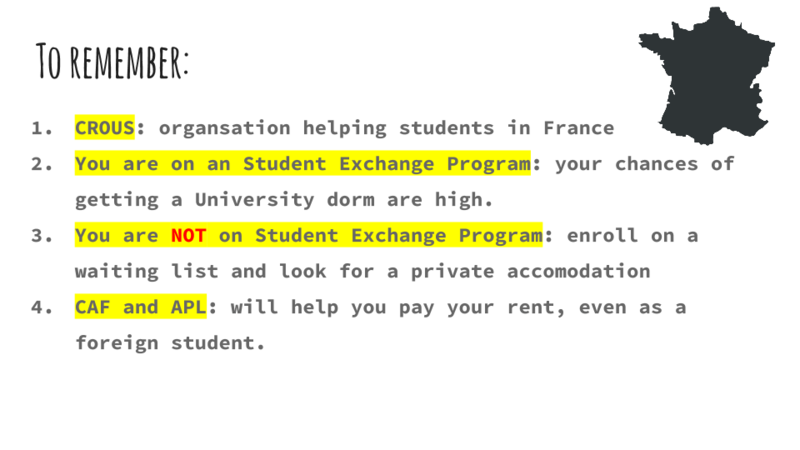 It might be a stressful and difficult situation to anyone anywhere, but you must know that France has the APL (Aide Personnalisée au Logement), a very unique and interesting way of helping students, whether their are local or foreign, in paying their rent. Check out their information brochure on the CAF website. At the moment i leaning France language in (secours catholique). I want to continue my study her in university..
Hi there. First, you need to decide what you want to study. Then try to apply to that university. If you want to apply for a visa, you will have to go through certain steps, like finding accomodation and proving that you can actually pay for your studies and living in France.